The catch is the VA funding fee. It can come as quite the surprise to qualified VA home loan borrowers. You may not even know there is such a thing until the lender tells you. And it’s not a small-change charge. The Department of Veterans Affairs uses the fee to help defray the costs of VA-guaranteed loans that default. Here’s what you need to know about the VA funding fee. How much is the VA mortgage funding fee? If you’re eligible for a VA-backed home loan, you are gaining a valuable benefit in return for your service to America. 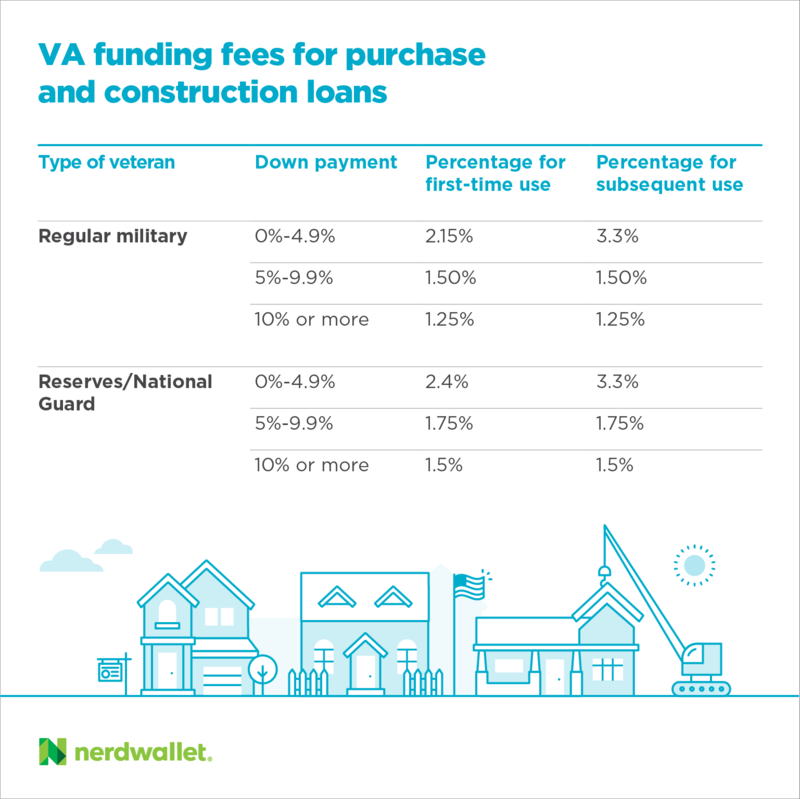 But, with few exceptions, a one-time funding fee must be paid directly to the Department of Veterans Affairs for each home loan, whether it’s for a VA purchase or VA refinance. On a 30-year, $300,000 purchase mortgage at 4%, regular military, with 0% down — and just considering principal and interest, not taxes, insurance or anything else — your monthly payment would be around $1,430. The VA funding fee for a first-time VA borrower would be $6,450 (2.15%). But that’s if you paid the funding fee out of pocket. By rolling that $6,450 into your loan amount, it adds over $11,000 in total costs over the life of the loan — and your monthly payment would increase by $30 to around $1,460 a month. The VA funding fee won’t be the only charge you’ll face at closing. Mortgage loans come with closing costs and can include discount points, lender fees, an appraisal, credit report, property taxes and more. You can negotiate some of these fees, and the seller of the home might be persuaded to pay for some of them. And again, you can roll some or all of the costs into your loan amount.